With the rise of home-sharing services like Airbnb, HomeAway and others, you might think that renting your Twin Cities home — or just a room in it — is an easy way to earn extra income. We’ve certainly considered it! But it’s not quite as easy as listing your home and collecting the cash. Here are four things to consider before deciding to list your property as a short-term rental online. Start by finding out if local laws (and even your homeowners association) allow you to rent out your home. At first glance, there’s no laws prohibiting Minneapolis or St. Paul residents from renting their homes online, but it’s good to check into that nonetheless. And many homes in our area are part of a homeowners association, and some HOAs simply won’t allow short-term rentals. Others require certain permission and board approval before they do. With the surge in Airbnb’s popularity, some communities are just now considering local regulations for short-term rentals. So if you’re considering renting your home on Airbnb or a similar platform, be sure to check local laws periodically. What’s legal today might not be legal six months from now. Conventional homeowner’s insurance may not cover you when something goes wrong with a paying guest. You may need to add more coverage or buy an entirely different policy, like landlord or business insurance, to ensure you have safeguards in place. And be careful about renting to anyone with pets if your homeowner’s insurance doesn’t cover four-legged friends. Home-sharing sites usually charge a service fee on each booking, but there are other costs to consider. For instance, cities like San Francisco and Los Angeles require you to pay a hotel tax. And if you rent out your place for more than 14 days a year, the IRS will expect a cut too. “The first year, I accepted guests for two one-week stays, plus 10 days over Christmas,” explains Portland resident Alice Chan. “I ended up paying hefty taxes and investing a lot of time in trying to figure out my tax deductions and finances. 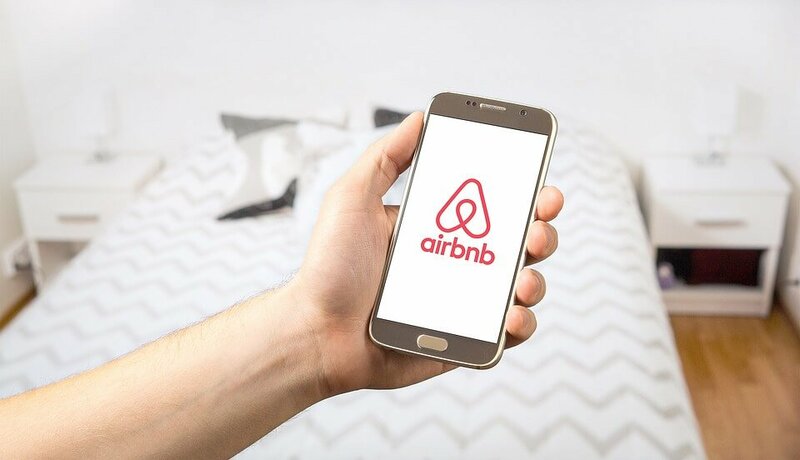 Now, I just stick to the 14-day limit.” Be sure to keep flawless records of rental periods and document all business expenses if you plan to rent your home on Airbnb. A whole cottage industry of companies has cropped up to support landlords with bookings, cleanings, key services and other tasks associated with short-term rentals. For example, Guesty manages about 4,000 Airbnb listings worldwide in exchange for a 3% share of the rental fee. Guesty acts as a liaison between the host and the guest so that hosts with full-time jobs don’t have to manage their Airbnb listing(s). While companies like these can take most of the work out of the process, keep in mind that they’ll take a bite out of your profits too.If you’ve decided to give it a go, don’t forget that little touches — like a bowl of fruit or a handwritten note — are the hallmarks of a good host and can make repeat patrons out of your guests. If you’ve decided to give it a go, don’t forget that little touches — like a bowl of fruit or a handwritten note — are the hallmarks of a good host and can make repeat patrons out of your guests.Want to learn more about Twin Cities’ real estate? Contact our friends at MN Realty Guide to learn more about local laws, market trends, and for homebuyer or seller advice. Want to learn more about Twin Cities’ real estate? Contact our friends at MN Realty Guide to learn more about local laws, market trends, and for homebuyer or seller advice. The post 4 Things to Consider Before Renting Your Home on Airbnb appeared first on MN Home Living.